◉ E l l e n ◉ "How can you be so positive, after being through all those nightmares? "She needed an answer to keep herself sane. "I have found my ray of sunshine, my personal fire, which melt away my darkness with her ever burning glow." He murmurs softly, while watching her with smiling eyes. __________ Never in a thousand years, Ellen would have ever guessed, her life will going to be flipping around after a mysterious surprise. Living on her own terms for nearly a decade, leave her perplex when she can't seem to help but change every belief she had after meeting a not so ordinary man. _________ ◉ E r i c ◉ "You shouldn't be in darkness, just because I am." He tries to make her leave his side as everyone does without his consent. "I think, I have found my reason for staying, right here." she walks over and sit next to him. "Will you hold my hand; we'll rock away the time. "She slides her hand in his and squeezed the sadness away. _________ Everyone in Eric's life has crumbled his trust in an irreparable way, but some amber eyes are giving him every reason to have faith in them. He has no idea what to do, neglect the dangerous aura screaming around her or go with his familiar instinct. _________ Sometimes you have to risk everything you have for the one who deserve the happiness. 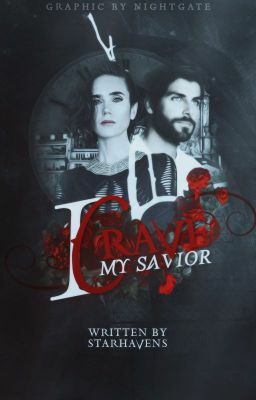 _________ Cover by @nightgate Edit by @jgfairytales - I crave a savior copyright © starhavens™2015-2016 - I crave a savior cover graphics copyright © starhavens™2015-2016 _________ - Before known as Beautiful billionaire. _________ © Copyright 2015 - 2016 This work is property of Starhavens (@Starhavens) Any duplication or reproduction of all or any part of the work without explicit permission by the author is illegal. | In case of duplication or reproduction, all the legal measure will be taken.| _________ The picture uses in cover is not owned my me and all right are owed my their owner.